The RAV4 hybrid sells for a small premium over similarly equipped all-wheel-drive models. Record sales in Canada have helped pushed global Toyota hybrid sales above the 10-million-unit mark at the end of January. The milestone came just nine months after total hybrid sales reached nine million at the end of April 2016. Toyota now sells 34 different hybrid models around the world. When Toyota launched its first hybrid vehicle 20 years ago, “no one even knew what a hybrid was,” said Takeshi Uchiyamada, known as the father of the Prius and now the company’s chairman. Toyota Canada Inc. (TCI) helped play a role in topping that 10 million mark with a record 19,787 hybrids in 2016, up 45 per cent over 2015 hybrid sales. TCI accounts for more than three-quarters of all hybrids sold since 2000 in the Canadian hybrid vehicle market, said ToyotaCanada Vice-President Stephen Beatty. Toyota has sold more than 130,000 hybrid vehicles in Canada, led in 2016 by the RAV4 hybrid. Despite stable gasoline prices, Toyota-branded hybrid sales were up more than 50 per cent over 2015, with 17,812 vehicles sold. Lexus made up the balance. He also said that making the switch “meant no lifestyle change for drivers – other than having to fuel up less often.” There’s also no need to change fueling or driving habits, no charging or worrying about making long trips. The RAV4 hybrid came to market in late 2015 and promptly became the top-selling hybrid in Canada. It accounted for 5,816 of the approximately 28,000 hybrids (an increase of about 39 per cent) that Canadians bought in 2016 (full-year figures were not available for all hybrids as of this writing). 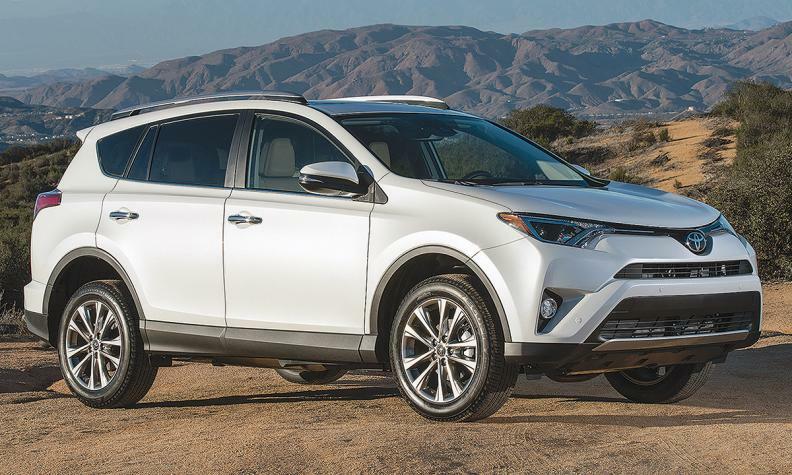 But the RAV4 wasn’t solely responsible for higher hybrid sales. Ford/Lincoln hybrids were up 22 per cent. Total sales of dedicated hybrid models, such as the various Toyota Priuses, the Ford C-Max and the Chevrolet Volt, grew 25.8 per cent in 2016 compared to 2015 and have grown nine per cent in the first two months of 2017 compared to the same period last year. Excluding RAV4, known sales of hybrid versions of conventional vehicles (Toyota/Lexus and Ford/Lincoln) were up 3.4 per cent in 2016. This does not include hybrid versions of vehicles such as the Hyundai Sonata and Porsche Cayenne, for which full-year data was not available at presstime.